*According to the Trussell Trust, food bank use between April and Sept 2018 was up 13% on the same period in 2017. * *Every year in the UK 18 million tonnes of food end up in landfill. * Why is this the case and what can we do about it? The relationship between food and cities is fundamental to our everyday lives. Food shapes cities and through them it moulds us - along with the countryside that feeds us. Yet few of us are conscious of the process and we rarely stop to wonder how food reaches our plates. Hungry City examines the way in which modern food production has damaged the balance of human existence, and reveals that we have yet to resolve a centuries-old dilemma - one which holds the key to a host of current problems, from obesity and the inexorable rise of the supermarkets, to the destruction of the natural world. 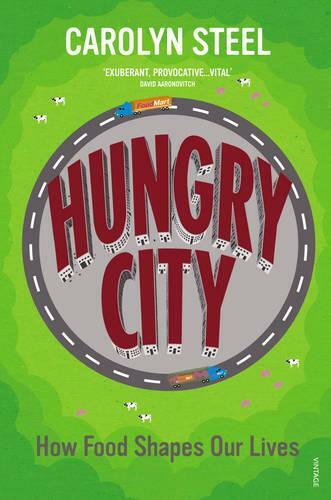 Original, inspiring and written with infectious enthusiasm and belief, Hungry City illuminates an issue that is fundamental to us all.